Ché Guevara has been a fascinating figure for more than a few generations of would-be revolutionaries. Indeed, nothing has sealed (and marketed) his legend more than Ernesto, M.D.’s iconic image, from a photograph taken by Alberto Korda, that graces everything from coffee mugs to topiary to t-shirts. To satirize the photo these days is a bit tired, although we love what Matthew Diffee did with it. A new book by Michael Casey, “Che’s Afterlife: The Legacy of an Image” explores the photo’s journey into pop culture consciousness. Should be a good read; check your local library for a copy. As for Guevara himself, Biography Resource Center has six narrative biographies. Contemporary Hispanic Biography provides a good overview and a bit of analysis of his life and legacy. Even before his death Guevara was nearing legendary status, and after his execution he became the martyr and idol of an entire generation in both South and Central America as well as around the world. Fervent supporters marched in the streets chanting “!No lo vamos a olvidar!” (We won’t let him be forgotten!). When his secret gravesite was discovered 30 years later, after a deathbed confession by a former member of the Bolivian army, a renewed passion for Guevara’s memory was ignited. Bolivia, embracing Guevara more closely in death than it ever had during his lifetime, launched a “Ché Guevara Week” and began promoting Guevara’s work in the country as a tourist attraction. His written works, including Guerrilla Warfare, Pasajes de la Guerra revolucionaria (Reminiscences of the Cuban Revolutionary War), which describes his personal experiences during the Cuban uprising, and El diario de Ché en Bolivia (The Diary of Ché Guevara), which was published posthumously, gained significant and sustained acclaim. Numerous compilations of speeches and other writings were also published after his death. 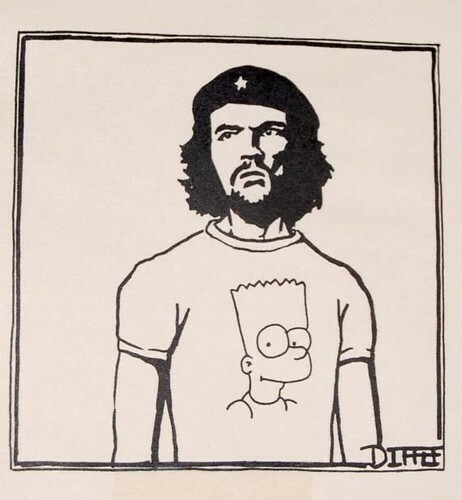 While Guevara has approached the status of sainthood in Latin America, in Europe and the United States during the late 1990s Guevara’s image began to appear on t-shirts worn by the younger generation. Somehow the socialist martyr had become chic among angst-ridden youth. How Guevara would have felt about his image being sold in trendy shops in the capitalist United States remains a question for speculation. Source: “Che Guevara.” Contemporary Hispanic Biography. Vol. 2. Gale Group, 2002.